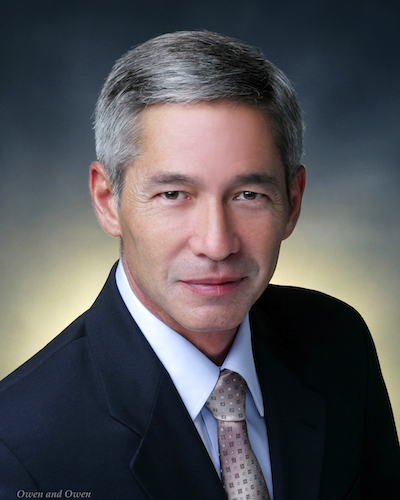 Hawaii's Willes K. Lee was elected to the post of executive vice president of the National Federation of Republican Assemblies (NFRA) today at the group's widely heralded three-day 2015 Presidential Preference Convention. The national organization of conservative Republican grassroots leaders selected Lee for the NFRA's second highest post following his successful tenure as Pacific Region Vice President. Lee succeeds former Ohio secretary of state Ambassador Ken Blackwell in this two-year post. Lee continues to serve as national director for the Hawaii Republican Assembly (HIRA) and is a member of the National Rifle Association's (NRA) Military and Veterans' Affairs Committee, and supports the NRA Civil Rights Defense Fund, NRA Foundation, and Special Contribution Fund. Also elected at the NFRA convention to lead the organization through 2017 were Sharron Angle of Nevada as president, Sharon Ford of Tennessee as secretary, Rudy Cajka of Texas as treasurer, Daniel Hamm of Alaska as Pacific region vice president, and Dave Jeffers of Florida to Sergeant-at-Arms. Yesterday, the most popular speaker was presidential candidate Donald Trump, who helped fill the convention venue to capacity. All convention attendees took part in the NFRA straw poll which Trump won resoundingly with 52% of the vote. NFRA delegates from across the country met to endorse a 2016 presidential candidate. Following four hours of heavy, highly informed debate and six rounds of voting, Texas Senator Ted Cruz received the NFRA's valued endorsement upon securing the required two-thirds vote of delegates. The Cruz endorsement provides direction to state and local conservative grassroots efforts across the nation who know that NFRA's selection comes after a thoughtful deliberation and lengthy review of all the candidates on the widest possible range of issues. The NFRA Presidential Preference Convention meets every four years to endorse a candidate in the primary. The NFRA and its 20 state chapters are committed to holding liberals - whether Democrats or Republicans-in-name-only (RINOs) - accountable for their positions on issues, and to electing full spectrum conservatives at all levels of government. The National Federation of Republican Assemblies is the nation's oldest grassroots organization.